The first thing we notice on a person usually is the face, which can either hide or reveal our age. For me, facial skin care has become an integral part of my life since high school days, when I realized that we live in the time in which our skin, already exhausted with stress caused by work and other obligations, is constantly exposed to unfavorable environment, pollution and large quantities of UV radiation. I'm also aware that skin is aging and that the initial crinkles around eyes and mouth are inevitable. However, I don't worry too much because I find them to be laughter wrinkles that testify about a wonderful life filled with smiling and joy. Even in general I'm not particularly upset with skin aging for I believe that the state of mind is essential, that beauty comes from the inside and that we look the way we feel – the years are just a number which proves nothing. Personally I'm a big supporter of natural looks to, as opposed to excessive amounts of makeup. Sometimes the daily cream that I apply in the morning is quite enough. It's important that the cream I use behoove my skin and provide it with adequate care and protection. My skin is normal, but because of my life in Oslo and Norway, under the influence of winter and cold, occasionally it could be left dried, so the hydration is extremely significant to me. Creams, serums and facial masks are my favorites and I always try out new ones to detect what is most suitable for my skin. 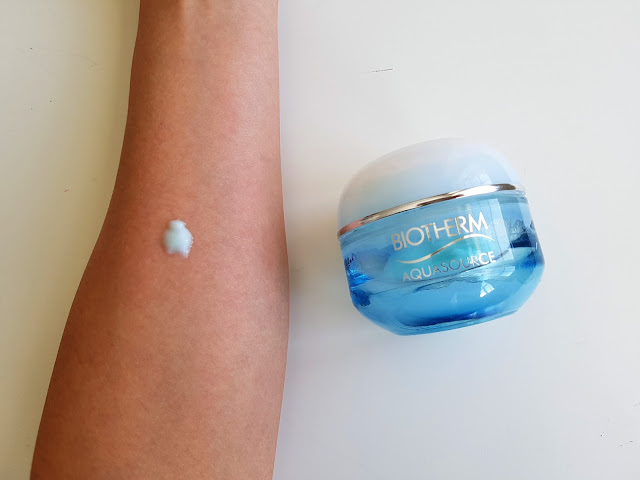 Currently I'm utilizing Biotherm Aquasource Skin Perfection. I chose this cream mainly because Biotherm's line of cosmetics is based on Pure Extract of Thermal Plankton concetrated formula. 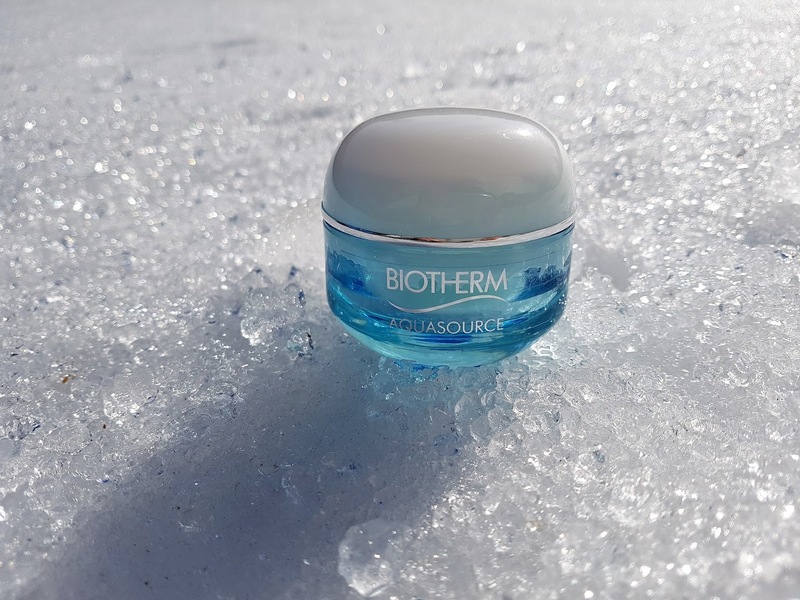 This singular extract, which as a powerful activator soothes the skin and enhances natural defences against aging, is at the heart of Biotherm's expertise and inovation. Today, they are the only brand that can boast the exercise of this ingredient in cosmetic care products. If you are curious about what thermal plankton is, the official page states the following: a species of microflora that emerged on Earth more than 3 milions years ago and inhabits montainous sulphurous springs rich in minerals. Some 50 years ago biologists discovered it's efficiency and affinity toward skin and after two decades of research and development they succeeded to isolate and reproduce the extract in concetrated form, devising an original and extensive range of cosmetic care commodities. 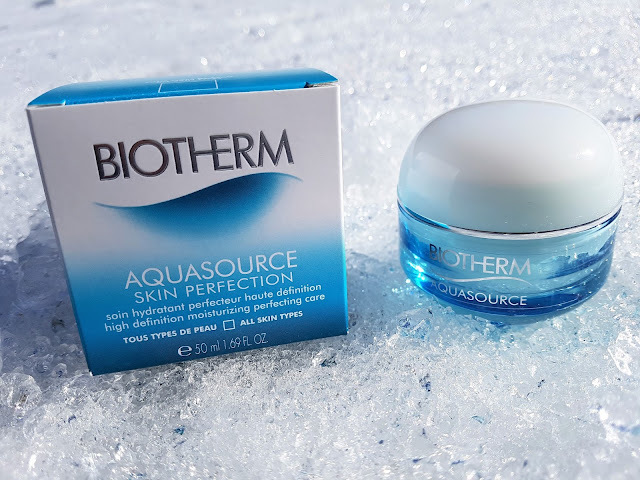 Biotherm's Aquasource Skin Perfection: 24hr skin perfecting moisturiser, supplemented with Aqualiss complex, is created as the first cream for 24-hour care and hydration. 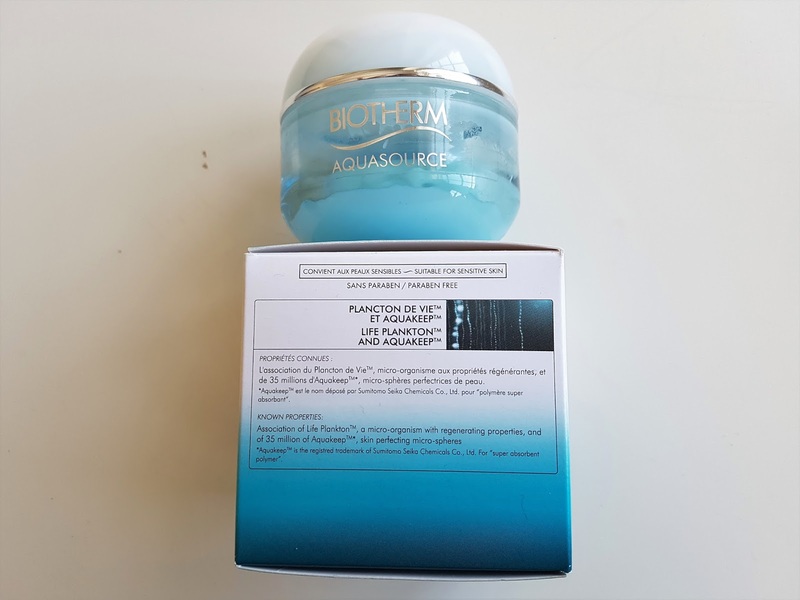 The complex itself is the equivalent of 5000 litres of thermal spring water and microspheres abundant with optimizing components that revives the hydration and smoothness of skin. After application the cream induces a pleasant feeling on the face, as if it is covered with layer of water that moisturize and conserve it throughout the day. 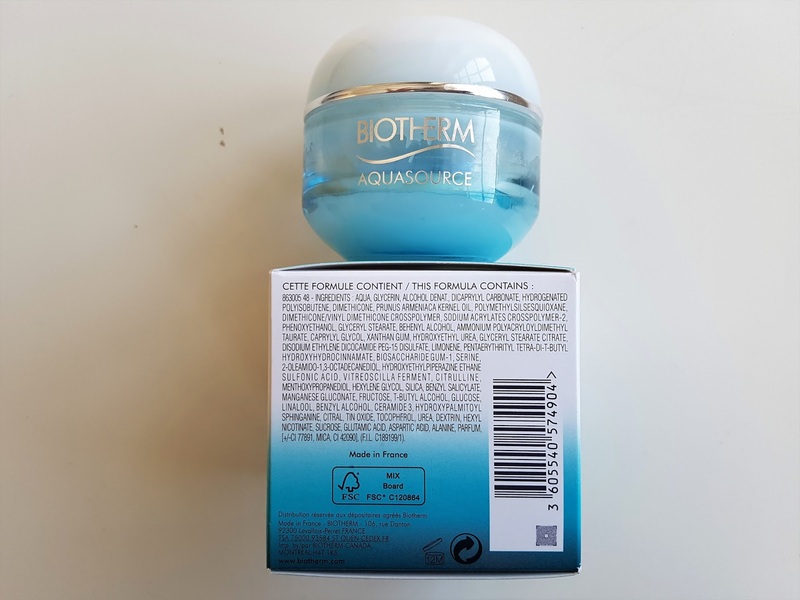 I would describe the texture as both creamy and gel-like and I'm especially fond of this kind of pomade, due to it's easy laying, smear and quick absorption. I can conclude that, in regard to continuous moisture, refinement and crystal clear gloss, the results are immensely positive and satisfying. The cream is intended for different skin types and I sincerely recommend it to all women who want a healthy and refreshing daytime hydration. Did you use this cream? Wht are your impressions? Anything that has word "aqua" in it - I'm buying! I can completely understand you because I also always searching new products for moisturize and buying them.